Neck pain is generally defined as 'stiffness' and/or pain felt dorsally in the cervical region. The cause of neck pain is commonly due to compression or damage of a neurological structure, such as the spinal cord and/or a nerve root due to disc degeneration. Pain relief is achieved by removing the source of neurological compression, known as decompression. Spinal disc arthroplasty is beginning to provide results which show that arthroplasty has a more consistent reduction in pain over a two-year or more period when compared with anterior cervical fusion. Kineflex technology has proven to be clinically successful, being implanted in over 4000 patients worldwide. The KCDP may be used to treat single level Symptomatic Cervical Disc Disease (SCDD) between the C3-C7 levels. 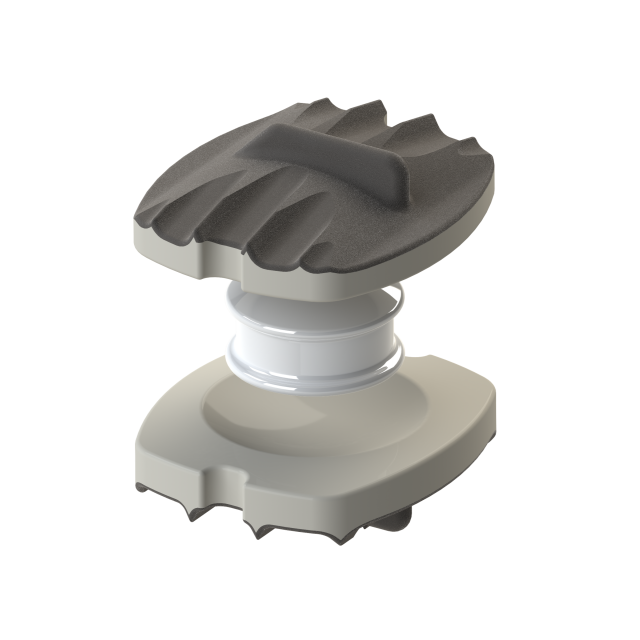 The KCD Prime is manufactured from a combination of high performance materials selected specifically for MRI compatibility and 'low wear' debris generation. This allows for non-invasive postoperative imaging of the treated level. 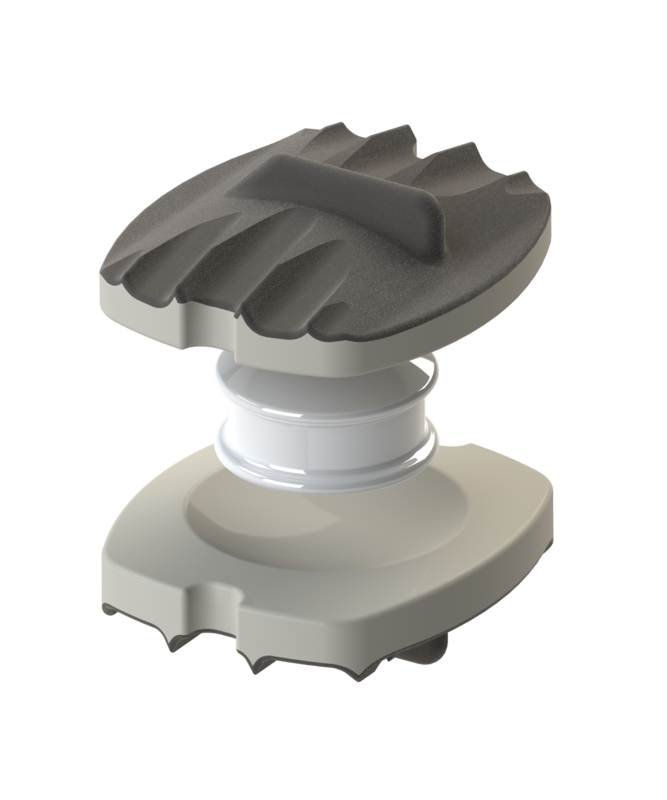 The Kineflex geometry replicates the natural motion of the intervertebral disc by allowing for five degrees of freedom and axially compliant endplates. 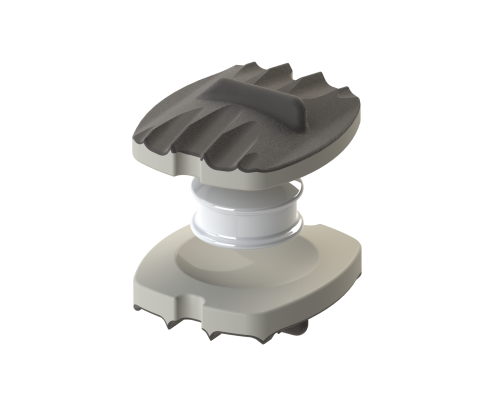 The combination of PEEK-on-Ceramic materials provides a low-friction and smoothly articulating wear-couple.